Chef Jason McClain has developed a departure from traditional club fare, with a new take on food and beverage offerings at the Jonathan Club. A 120-year-old private club, Jonathan Club’s members are comprised of community leaders and trailblazers serving as esteemed participants in the cultural life of Los Angeles. Chef Jason joined forces with a local urban farming company to plant a 42-bed rooftop garden at the Jonathan Club. 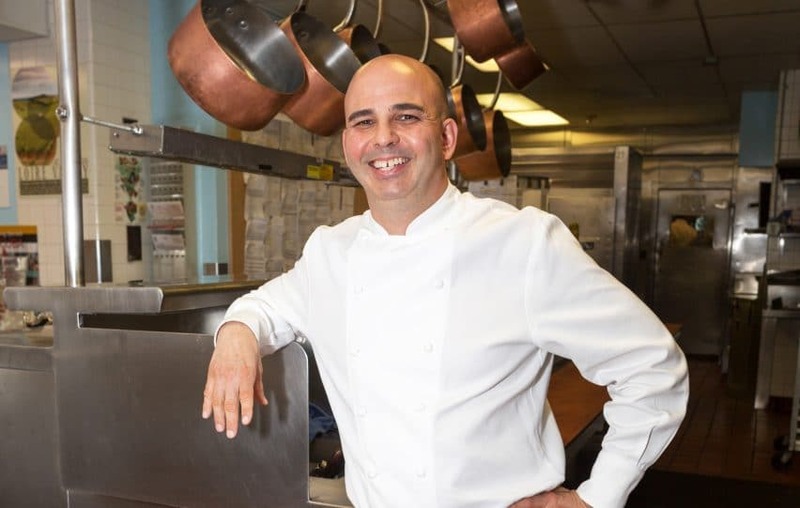 Four times each year, he uses his expertise to contribute to the surrounding neighborhood by inviting underprivileged youth to visit the Club to learn the value of growing ingredients firsthand. When he’s not hand-selecting bushels of sun-soaked Swiss chard or snipping delicate chive greens from his rooftop garden, Chef Jason can be found smoking fresh-caught salmon in his butcher shop or designing an “a la minute” tasting menu inspired by the season’s bounty.